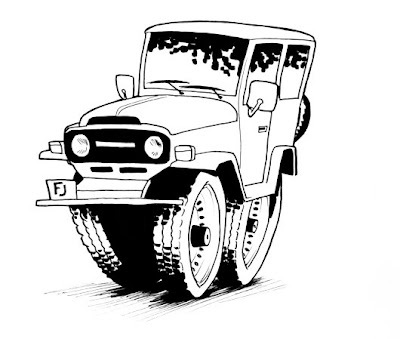 Here is a sketch of an old Toyota FJ I saw in a magazine. Look for a colored version of this soon. The other day I found a shark book at home that I forgot I had. So I did these. That FJ looks cool, I like the height and dramatic shadows. There is good action in your Sharks as well. 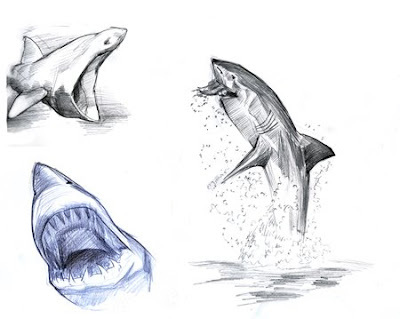 The top left Shark looks like it lost its dentures. 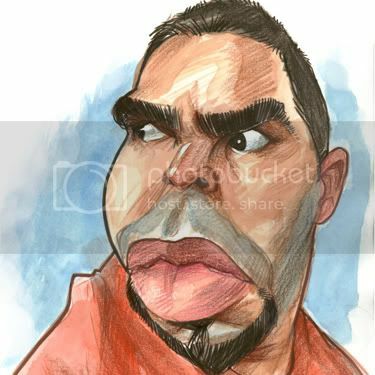 I especially like how you caricatured the Toyota...I would've never thought to do that. Damn, dude... this is awesome stuff. My only wish is that I saw more of what you were doing. I love the updates. Great blog, and artwork! Love the caricatures of Woody H and Swank! man, i love when yo draw cars the way you do, thats tripped. nice sharks. Im really enjoyin code 11 by the way. I would love to colab with ya on that. Thanks for the kind words! The toothless shark is a whale shark. What's funny is just the other day I was in the junk yard and I saw that exact FJ sitting right there, only trashed. I tried hard to take the steering wheel off, but it was impossible. I wanted to make the top of a table with it. I decided I want to make cool stuff out of junk car parts. Woo! I've got other stuff in the works, so updates for ya later.